This is a mattress with no significant flaws. It does need turning (not flipping) and there are no handles to do so, plus the cover doesn't come off for cleaning. That aside, it is pitched at the more affordable end of the bed-in-a box market, and punches way above its weight. 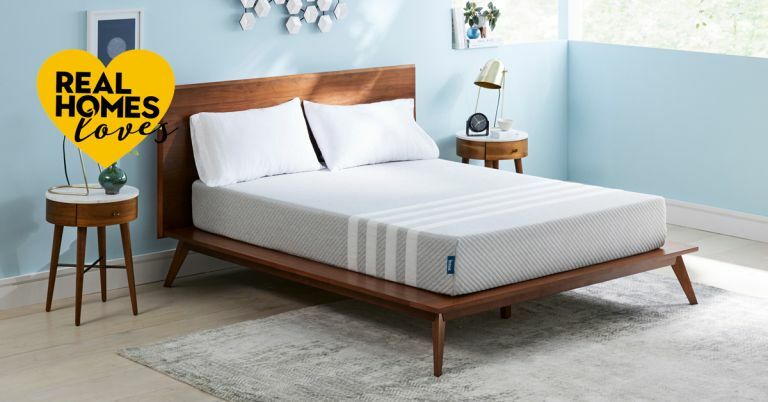 If you're looking to find the best mattress for your needs, you'll find plenty of choice in our mattress guides – but don't miss our deep reviews first. For the latest Leesa mattress deal, don't miss our update. Read on for our review of the Leesa mattress. Anyone and everyone: this is the Volvo of mattresses, a safe, reliable choice that won’t set your world on fire, but nor will it let you down. What's the Leesa like to sleep on? As the bed-in-a-box review mattresses were coming in fast, and starting to blur in my tiny mind, I decided to check out Leesa’s USPs before we bedded down. So, the first thing you need to know about the Leesa is that it a mix of latex-like Avena foam, and memory foam, along with the obligatory base core that gives it height. Since many of the newest generation foam mattresses have five+ layers, this relatively basic three-layer build was disconcerting. But then I noticed the two most important foam layers are 5cm-thick each, whereas 3cm is the norm, which got me wondering how much difference 2cm could make. To find out, we got horizontal. The first thing we both noticed is how responsive the Leesa was; it yields enough to get you comfortable but not too much. It was initially a tad on the firm side but as the bed warmed up, or a little time passed (maybe a combination of both), it definitely felt softer. Rolling from side to back, things stayed pleasant. On to my front, never my fave, and still pretty good. So to sleep we both went. To be fair we’d been knee-deep in DIY that day so probably could have slept on a bed of nails, but we both survived the night without knowingly waking. There was a bit of a lull before the next mattress was due so we ended up sticking with Leesa for nearly two weeks. If anything, the mattress seemed to soften as the nights passed. Or possibly we adapted to it, but after that first night, I never felt it was too firm again. Like most memory foam mattresses, Leesa performed fairly well on motion transfer. It helped that we trialled a Super King, and Nick is well versed on how much of the bed is his (ie, 25 per cent max), but still, I can report that no wives, or small children, were excessively disturbed or shaken during the testing of Leesa. Aimed at the masses, both here and in the USA where Leesa was born, this mattress is pitched at a fairly middling 6/10 for firmness (see below). As a seasoned mattress pro (! ), I can add that I found it softer than the Eve but firmer than the Simba Hybrid, and possibly closest to the Emma. That would be medium firmness then. My ever-patient testing team (three male, three female, ranging from 10 to 17 stone), graded it between five to 6.5 out of 10, which is the closest in agreement they’ve been so far. For our weight test (see below), the ruler showed sinkage of just above 7cm for the side and nearer to 8cm in the middle, which isn't bad in terms of surface uniformity. One thing I did notice when using the side in earnest, for example sitting on the edge to apply socks or just gird myself for the day ahead, was how well it retained its structure. Foam mattresses do struggle on the edge as they don’t have the extra stitching and strengthening of a sprung mattress. Some seem to concertina like an accordion when you perch on the edge but Leesa stood its ground. The posture test (below) was similarly decent. On his side, Nick’s spine looked well supported and, for the first time, there wasn’t a big curve upwards at his neck. However, in the interest of full disclosure (as bloggers say), we were also sent a Leesa pillow to review (to come), which could very well account for the near-perfect dot alignment along Nick’s spine. All our other tests have been done using a regular synthetic pillow from good ol’ John Lewis. How does the Leesa rate online? I guess they could be vetted (note: I am not saying that they are) but nearly all of the 18,243 reviews on Leesa’s own website are four or five star. That’s a LOT of happy customers – many pointing out how great the price is, as well as being evangelical over comfort levels. Interestingly, the naysayers are mainly narked about Leesa’s returns policy, or rather the inability and/or frustrations involved. The majority enthusiasm continues on Amazon, where 89 per cent of 155 reviews are four or five star. One reviewer nails it perfectly with: 'The best thing about this mattress is that I never think about it – I used to wake up with all sorts of back aches and pains and they all just disappeared when we got this!'. A 100-night, no-risk sleep trial, free delivery and returns, 10-year limited warranty and cash back (£30) if you refer a friend. You will also get a sparkling clean conscience – possibly even a halo. Many companies donate mattresses to charity (I’ve often wondered if these are refurbished returns from all those 100 day trials but I am massively cynical). In any case, the altruism is not to be sneezed at. However, not only does Leesa donate one mattress for every 10 sold, it also plants one tree per mattress sold, and physically supports local and national communities – staff are given time off for charitable works. My hat is well and truly off. Is the Leesa worth it? Yes, it is a crowd-pleaser without any significant flaws. It does need turning (not flipping) and there are no handles to do so, plus the cover doesn't come off for cleaning. That aside, the Leesa is pitched at the more affordable end of the bed-in-a box market, yet punches way above its weight. It didn’t transform my life, I am far too repressed to be that OTT about an inanimate object in any event, but I would be very happy to rate it reliably comfortable. It won’t rock your world, but you won’t wake up ruing the day you allowed it through your front door. In fact, if I didn’t have to think about it for my job, I'd agree with the happy Amazon reviewer; it just let’s you forget about how you slept and get on with your day. Praise indeed. I’ve covered the main details already – 5cm thick Avena foam, then 5cm thick memory foam and a 15cm thick base foam. The former has an unusual wavy shape, like an egg carton, which is all about breathability, airflow and bounce. It works on all counts, especially the coolness; I was cucumber-like every night. The memory foam, as with any memory foam, is where the support and contouring comes in. Being a generous 5cm felt good, particularly on my hips and shoulders. There’s quite a lot of enthusiasm online for Leesa’s seamless, one-piece cover construction. I’d agree it looks smart but I couldn’t get massively worked up about something that is only ever seen on laundry day. On that note, the cover is not designed to be zipped off and popped in the machine. Only sponge-cleaning is recommended, and we all know how effective that is. Once the order is placed, it takes 3-5 business days to build (in the UK), and a further one to two days to get to you – so around seven working days total. UPS has its own tracking system and Leesa will fire over an email with a tracking link when your mattress has been dispatched.